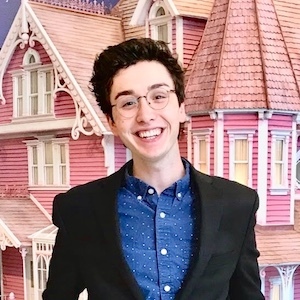 Brian Whetstone is a Ph.D. student in American history studying the history of community reactions, appropriations, and reinventions of local, state, and federal urban renewal policies in American cities in the mid-20th century. He is also pursuing a public history certificate with a concentration in historic preservation. A native of Omaha, Nebraska, Brian grew fascinated with the ways communities grapple with preserving and connecting with the urban built environment. To further this exploration, Brian worked with Restoration Exchange Omaha, Nebraska's only nonprofit historic preservation agency, to conduct oral histories, write national historic register and local landmark applications, and connect Omaha's urban neighborhoods with their local historical roots. Brian graduated with a BA in History from Hastings College in Hastings, Nebraska; his undergraduate thesis "'People Building a People Place': Pedestrian Malls, Urban Renewal, and Public Space in Downtown America" analyzed the United States pedestrian mall movement of the 1960s and 1970s and how local activist groups in American cities appropriated the common tenets of urban renewal to further their own hopes for their cities and communities. As a member of the UMass Public History program, he hopes to continue these research interests in addition to his work in the field of historic preservation.